Did you know one of the hazards of fibromyalgia and chronic fatigue syndrome is liver damage? 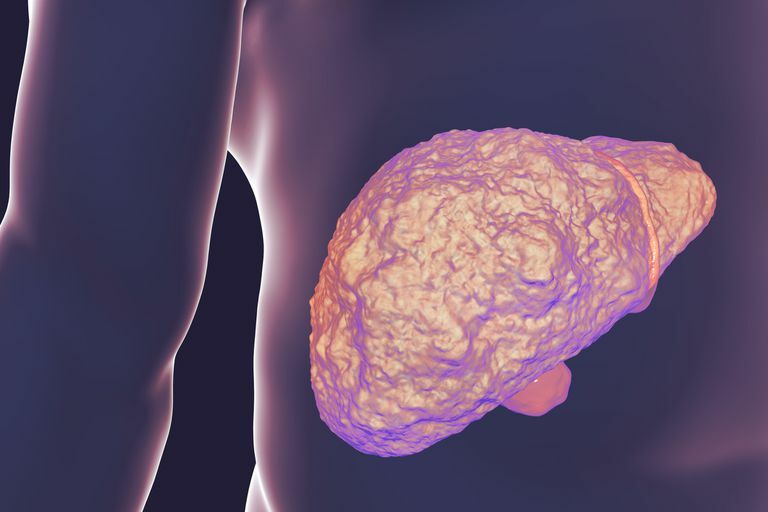 These conditions don't directly attack your liver, but the medications we take can do a lot of damage. Anti-inflammatories (NSAIDs) and narcotics, especially those containing acetaminophen (such as Vicodin), send a constant stream of toxins through your liver. This means that the liver has to work extra hard, and that can take a toll. I've known this academically for a long time, but I recently came face-to-face with this very real complication of long-term medication use -- in a blood test last fall, my liver enzymes were through the roof. My doctor said I was at risk for developing fatty liver, which can lead to cirrhosis. Now that scared the heck out of me! I can't really say I was surprised, but I was certainly shaken out of the "it won't happen to me" state of mind. I've had heavy NSAID use since I was 13, when I was put on a daily dose of 1600 mg of Motrin (ibuprofen) for on-going pain from an earlier back injury. A year later, it was upped to 2400 mg. I stayed on that for a couple of years, until Motrin became available over the counter. I continued taking it then, but less frequently and in smaller doses. In my 20s, I also took a lot of Tylenol (acetaminophen) for carpal tunnel disorder. Since my fibromyalgia symptoms started about 4 years ago, I'd been on Relafen (nabumetone), a prescription NSAID, at the maximum daily dosage. Add in the occasional Vicodin, and my liver's been racing to keep up. I'm also trying to use my diet to lower inflammation. I'll be getting my liver enzymes checked on a regular basis to make sure they stay down. If you have a drug history that's anything like mine, it might be wise to ask your doctor about getting a liver function test periodically.